See three free benefits for Health, Wealth and Income in 2015 below. According to the business of science, we live in a multiverse of scalar energy. In other words, a vase is not just a vase, but is a symbol of infinite potential. The fullness of our existence is filled with emptiness. Quantum theory says that our consciousness or intent causes the infinite to become finite. Our thoughts and observation turn potential into reality. 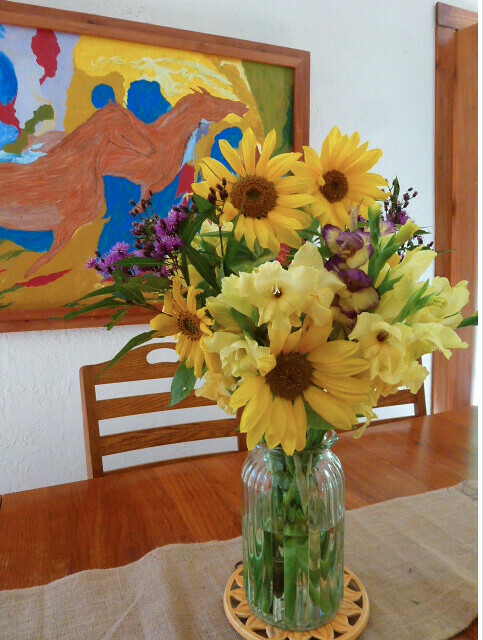 I love sunflowers because they remind me that “The sun is always shining somewhere”. Daily media focuses on the negative side of reality. You do not need to be trapped in this doom and gloom. Our seminars and online courses are based on focusing your intentions on positive potential. The courses share ideas on how to think and focus better to take advantage of economic potential. The reality? There are more people (demand) with greater productive potential (supply) every day. There is a continual global growth of supply and more demand. Everyone can become richer. Not everyone will, but you can be part of the richness and enjoy greater wealth. There is nothing to stop you, except perhaps living in the future instead of the here and now. One reader hit the nail on the head when he sent this note: I have followed your and Gary’s exploits and fascinating life story for years, from the time I was living in Naples, FL and you were making your great escape to Ecuador. You both have inspired me and your stories often kept me afloat emotionally through the difficult period that so many have endured throughout the past decade and more, yet here you are laughing in the face of retirement and continuing to enrich the lives of so many along the way. BRAVO! You two, such a great example of how to keep on growing and profiting while having great adventures in the process! In the meantime, however, one of our biggest issues for many of us is the sin of procrastination; how to overcome this?? I recently retired from a stressful job that finally led me to a modicum of freedom in Florida; however, now I need to get moving and DO SOMETHING productive. I am very much looking forward to attending your conference and meeting both of you. Procrastination is one of wealth’s great enemies. To help you get moving in 2015, here are three FREE kick starts to a better, richer, happier lifestyle with more peace of mind, fulfillment and less stress. Good health and high energy are key assets in any business formula. Better nutrition is the fastest way to get these assets. 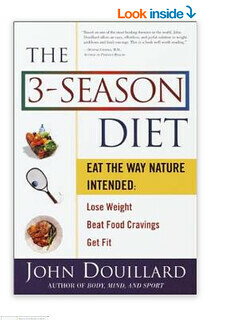 John Douillard is one of the health professionals who has helped me understand how to eat better and I have often recommended his book “The Three Season Diet”. John has written at his website lifespa.com “Make 2015 the year you start to eat the way nature intended! Join us for The 3-Season Diet Challenge – it’s free! This challenge takes you through a year of eating seasonally with month-to-month support and guidance from Dr. John. New research suggests that our gut microbes are meant to change seasonally by the foods we eat. Seasonal microbes optimize digestion, mood and immunity; the way nature intended! Is your placement stopping your forward motion? Do you need to move to enjoy greater success? 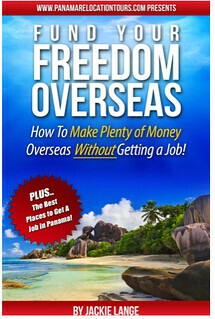 Or do you just want a new adventure to broaden your horizons? You’ll need income to live somewhere else. One speaker at our February 2015 Writer’s Camp in Mount Dora, Florida is Jackie Lange, owner of Panama Relocation Tours ™. Jackie has lived in 4 countries, visited 26 countries and moved 22 times and is celebrating her fourth year of relocation tours in Panama. So she knows a lot about relocating…..even relocating overseas. So she knows the importance of funding freedom with Self-Publishing. Jackie will present several case studies of how she has recently marketed books. For example she recently did a one week promotion for a product using seven sale letters. This generated $51,000 of sales in one week. Jackie is offering her book FREE at Amazon.com through January 5, 2015. One way to tap into the global expanding prosperity is in the fields of communication. Better communication and efficiency are keys that unlock parts of this infinite positive potential. There are two good reasons to write, when you have something to say or when you have something to sell. Income earned from joyfully and profitably providing a worthwhile product or service is the greatest generator of everlasting wealth. Whether your income generator is a publication or not, you’ll need a seven step process to earn profit from your business. This includes the ability to write to sell. Our Super Thinking Writer’s Camp teaches a seven step Write to Sell System (The Seven Ps) that over 40 years has proven itself through numerous technological changes. The biggest benefit of our Writer’s Camp is the Super Thinking ability. We live in a hectic, fast paced world that is bombarded by so much phony information that it is hard to keep up. Learning the state of relaxed concentration is vital to success in everything we do. When we can think clearly and reduce stress we accomplish with wondrous results. Our mobile, multiculture world often leaves us surrounded with strangers… even at work and in the neighborhood. Getting together with like minded souls who have a common purpose is fun and the contacts we make can really kick start a new lifestyle. With clear minds and good contacts gained at our courses and the ability to write to sell for success comes much more easily. Sometimes the cost of starting causes procrastination. This is why we offer a full scholarship to someone at each of our courses. Here is how the program works. If you wish to attend our Writer’s Camp, but finances are an inhibition, apply for a scholarship to our February 13-14-15, 2015 Writer’s Camp in Mount Dora, Florida. Send in 200 words or less to me at gary@garyascott.com with why you wish to attend and what you would do with the knowledge you gain. Applications will be accepted through January 6, 2015. I’ll post these anonymously (no one will ever know who wrote each application so you can write freely) and let readers vote who they feel best deserves each scholarship. One full scholarship will be given to the person who receives the most votes from readers. If you receive the scholarship, the entire $799 fee will be waived (or $999 if a couple is awarded the scholarship). We hope to see you this February… either as a delegate or with your scholarship. There you have it, a challenge for better health, a book on how to fund overseas freedom and a path of learning how to write to sell. 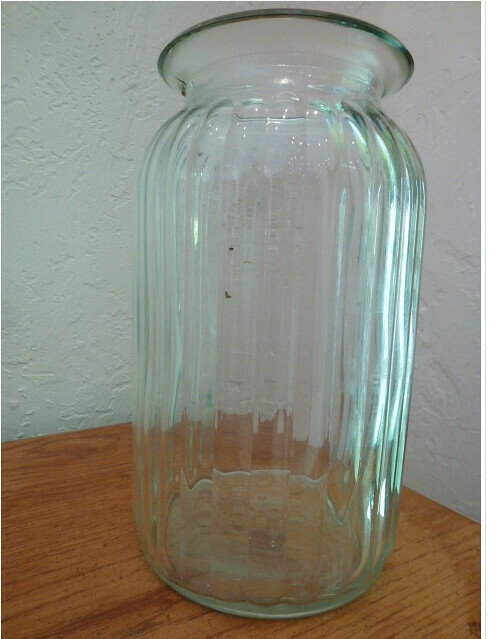 It’s a new year and time to get started filling the vase of your lifestyle. Now is the best time to begin.